The market-leading Heinemann Media has been updated to fully match the new 2018-2022 Media VCE Study Design. Retaining the clear, accessible style that schools love with even better teacher and student support. 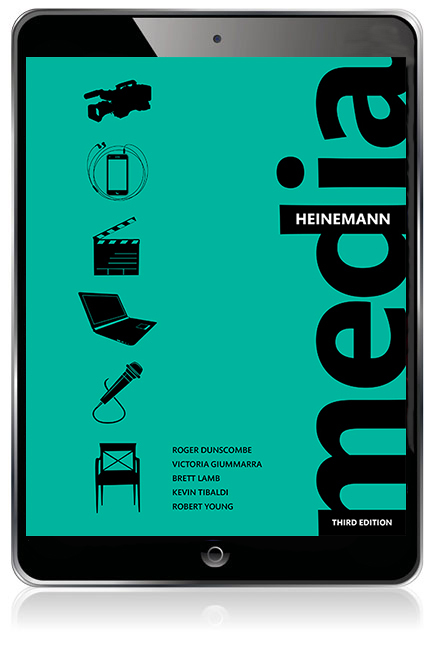 Heinemann Media, 3rd Edition covers Units 1–4 in a single book and is written by a team of Victoria's leading authorities on Media. The access code will give 27 months access to the eBook from the date of activation. Read the student book with bonus multimedia content. Visit the Heinemann Media site where you can request an inspection copy and view sample pages.